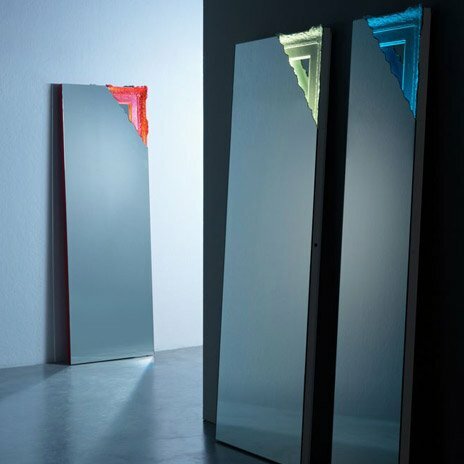 Mirror with corner back lit in LED. 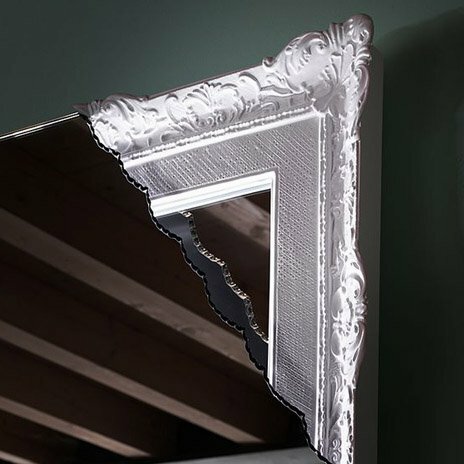 Frame with detail in white. The mirror has a special stapled working process called ?rubble effect?.